Tracie's Night began out of a desire to publicly honor the life Tracie lived and to bring recognition to the outstanding young women who are carrying on her legacy. 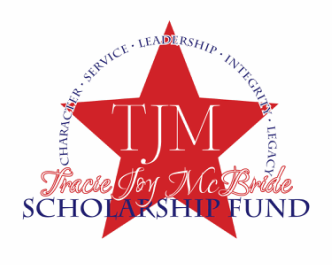 Through Tracie's Night we pray that support is generated to further our vision of awarding women of outstanding servanthood, character, and talent who have and will continue to exponentially multiply the impact that Tracie's 19 years of life had. As we gather for Tracie’s Night to remember her and recognize the women who have claimed the coveted awards of the Tracie Joy McBride (TJM) Quality of Life Scholarship, TJM Teens in Action Scholarship, TJM Talent Scholarships, and TJM Missions Service Scholarship, it produces overwhelming feelings to see how one life well lived – despite ending far too soon – has the power to influence the next generation.